Place of Birth Galatz, Romania ? 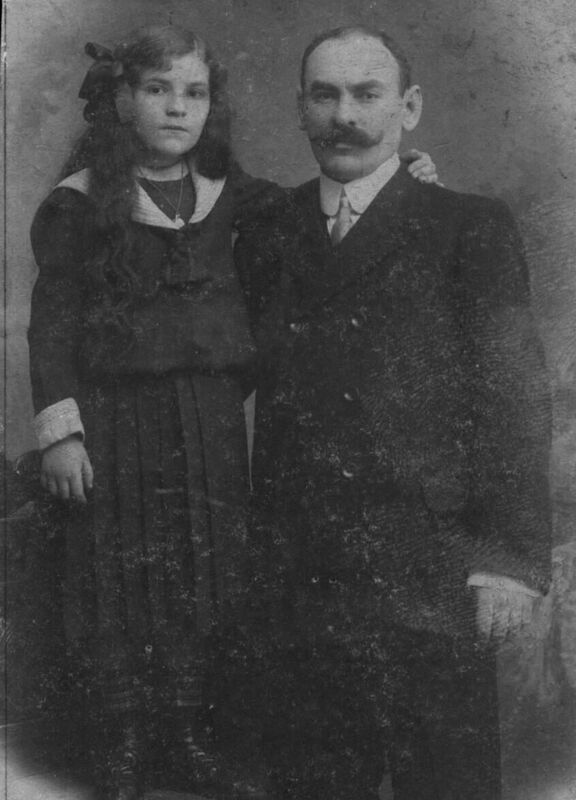 Historical Great-grandson, Danny Prish (Tel Aviv) writes (5 May 2017): My great-grandparents first moved from Romania to Tianjin and later moved to Hong Kong around 1921 after their daughter, Etti, then 16, had an affair with a much older man and became pregnant. 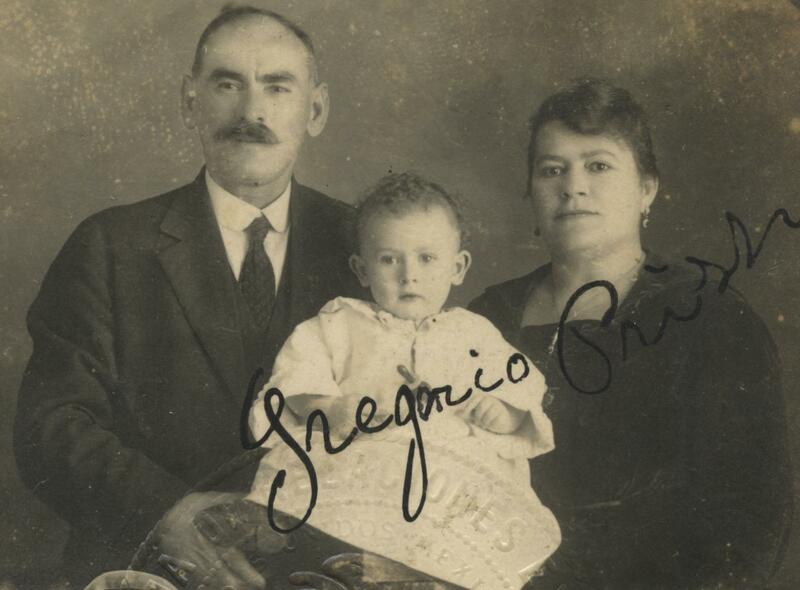 After her son, Reuben, was born, Georgorie and Raquel decided to send Etti to Mexico without him. Etti later moved from Mexico to the US where she married a man whose surname was Saud. She died in 1934 at age 29. In Hong Kong, they lived at 14 Hankow Road in Tsim Sha Shui. Georgorie had a shop on 86 Nathan Road selling second-hand items. 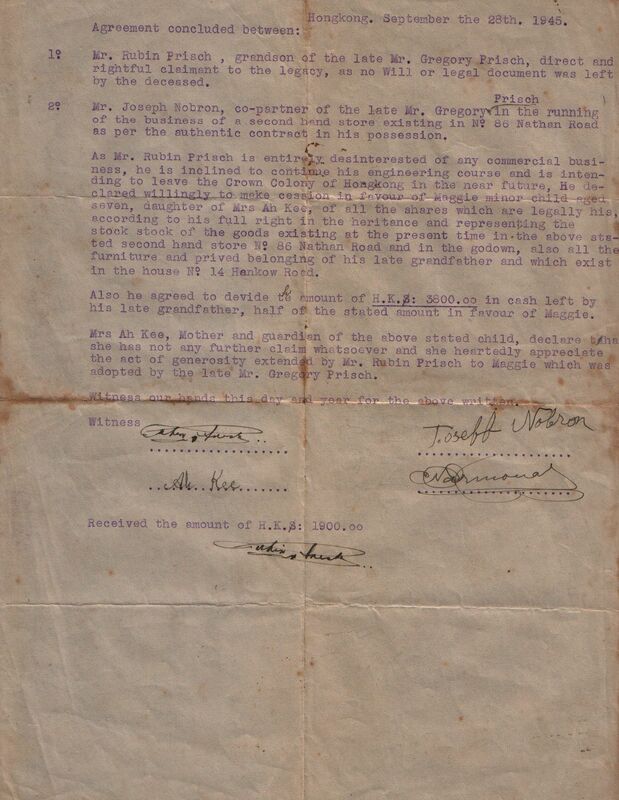 His business partner was Aaron N. Nobron (4E4), although the agreement (photo above) says “Joseph Nobron”. 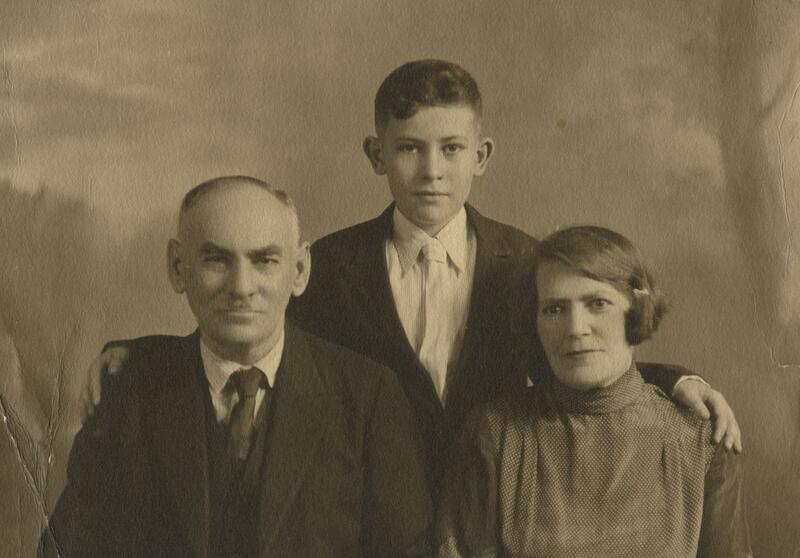 After Georgorie died, Reuben turned over his inherited share of the business to Maggie, the (then) 7-year-old daughter of a local woman named Ah Kee. Unfortunately, I don’t know their surname. Reuben, my father, died in Israel in 1985 at age 64. 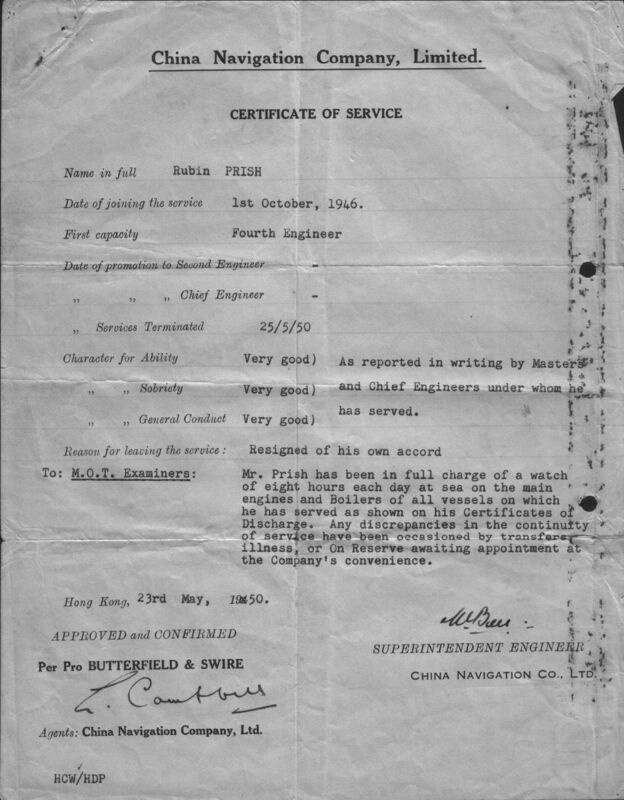 He was a sapper for the HKVDC during WWII (service number: 4379) and had spent a few years as a POW in Hong Kong. 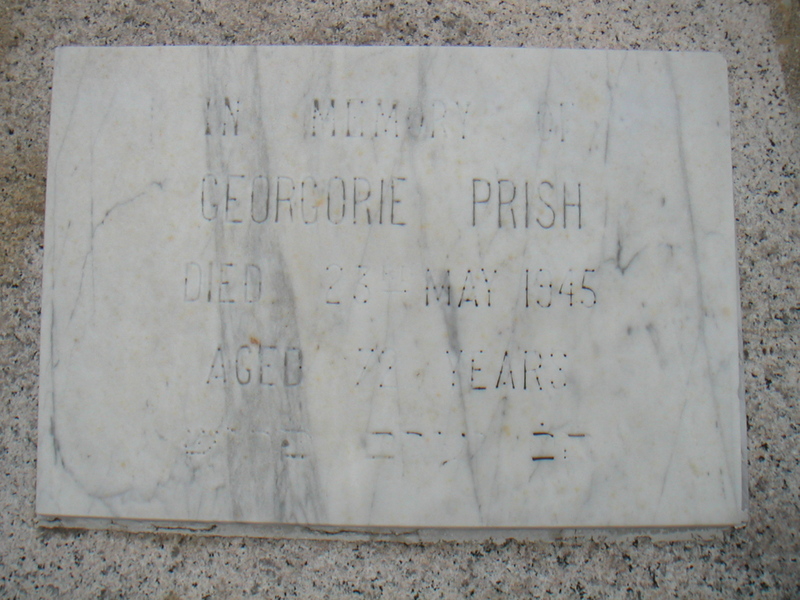 After he was released from prison, he learned that Georgorie had died. 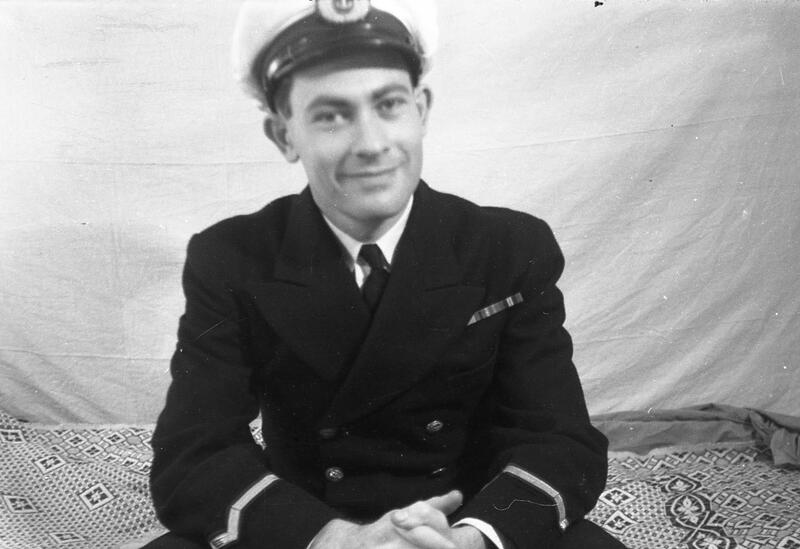 After the war, Reuben served as a mechanical officer on the S.S Fukien, a merchant navy ship sailing around Asia. As he knew that his father lived in Tianjin, he decided to meet the man on one of his trips there. His father’s name was Solomon Bronfman, who was born in Transylvania. 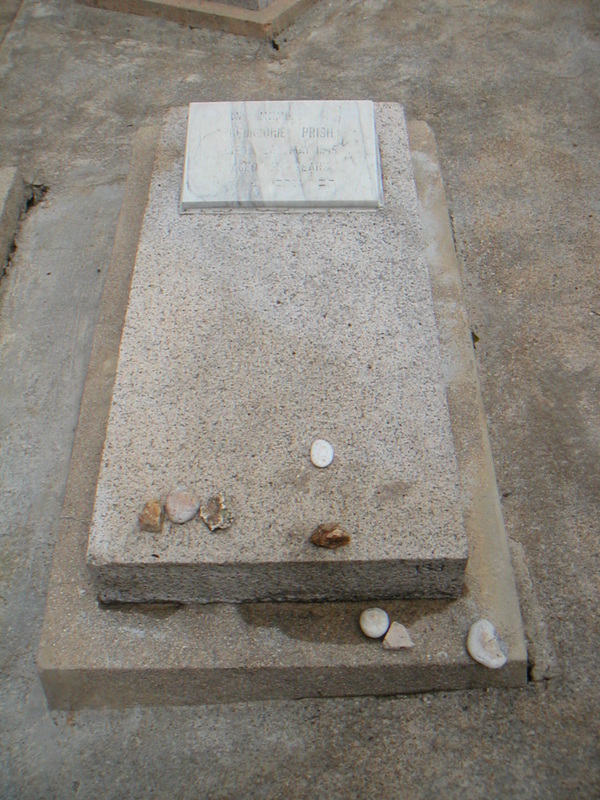 He died in Israel in 1960. 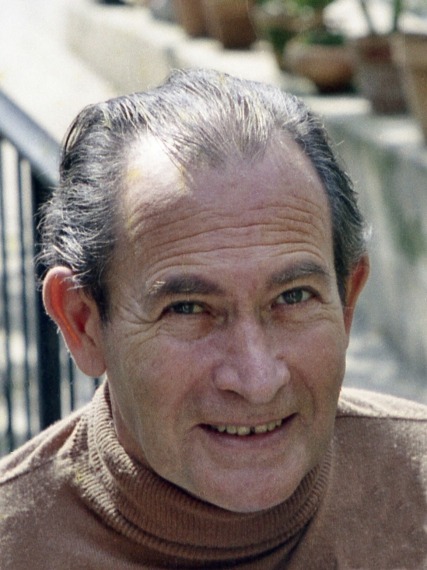 Reuben made aliyah in 1950. His wife Tania (my mother) had made aliyah a few months earlier. Leah Pullen (London) writes (5 July 2017): I am the daughter of Maggie (who is now known as Michelle), whom Ruben left his share of the business to. Maggie is the daughter of Georgorie and my grandmother, Ah Kee (Lilly). The shop was called Opportunity Store, and it sold furniture usually made of teak. My grandmother ran the business until her retirement around 2002. The business leased furniture to all the various forces that were stationed in HK.